This includes Part A and Part B. These plans are similar to HMOs and PPOs. The government created Medicare to help our retirees with their health care needs. It started with hospital and doctor visits, but has grown to provide full, affordable coverage to millions people today. Medicare is broken into four different parts to provide flexible coverage to fit everyone’s needs and budgets. We will examine each part more closely, but let’s take some time to review the basics. Medicare has 4 parts, A-B-C & D. Let’s start with Parts A and B, known as original Medicare. Part A generally covers procedures that require an overnight stay in a facility. This can include hospital stays, skilled nursing facilities, and oddly enough, hospice care. Part B covers doctor visits and outpatient care. Think of Part B for things that do not require an overnight stay like visiting your doctor when you are sick, getting an X-ray or an MRI, chemotherapy and radiation treatments, and lab services. Part C is Medicare Advantage, which combines Part A and Part B benefits into one plan offered by private insurance companies. Most include prescription drug coverage and may offer additional benefits like dental, hearing and vision. Finally, there is Part D that covers prescription drugs. Part D may be offered as a stand-alone plan or may be included as part of a Medicare Advantage plan. Well that depends on your needs. A plan that works at 65 might not be perfect at age 70. We’ll review your health and drug plan options and customize a plan that is right for you. To learn more about Medicare in Texas or any US state, contact a Licensed Sales Agent at info@medicareissimple.com. Next is the Special Enrollment Period when you can join, switch, or drop a Medicare advantage or prescription drug plan outside of the annual enrollment period. It generally lasts two months after the month of a qualifying event; such as, when you move or when you lose other creditable coverage, like an employer group health plan. Part A (hospital insurance) generally covers procedures that require an overnight stay in a Medicare-approved facility. Part A, along with Part B, is part of Original Medicare which is administered by the Centers for Medicare and Medicaid Services. What doesn’t Part A cover? What do you pay for Part A coverage? You do not pay a premium if you, or your spouse, have 40 quarters, or 10 years, of Social Security contributions. If not, you will owe an income-based monthly premium. In 2018, Part A does require a $1340 deductible per benefit period. A benefit period begins the day you are admitted to a hospital and 60 days in a row after you have been released. Should you have to return to the hospital during the 60-day period after release, it will be considered the same benefit period and a new deductible will not be charged. There is no co-pay for hospital stays up to 60 days in one benefit period; however, stays lasting 61-90 days have a co-pay per day. Beyond 90 days, there also 60 lifetime reserve days for hospital stays. These can be used only once and may be applied to different benefit periods. Finally, there is no co-pay for the first 20 days at a skilled nursing facility following a 3 day hospital stay, but there is a co-pay for days 21-100. Medicare Supplement insurance, or Medigap plans, help cover some of the expenses not paid by Part A.
Medicare Part B is medical insurance. It is one part of what’s often called Original Medicare, which is administered by the Centers for Medicare and Medicaid Services. Medicare Part A (hospital insurance) is the other part. Medicare Part B helps pay for healthcare services you receive in a clinic or hospital as an outpatient. 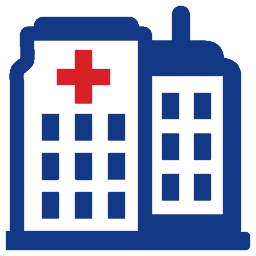 Part B also covers most doctor services you receive as a hospital inpatient. Part A covers most other hospital services. Medicare Part B covers doctor visits and most routine medical services. It also covers some preventive care, like flu shots. Medicare Part B shares some costs with you when you see the doctor or use other medical services. In 2018, Part B charges a $183 deductible and 20% coinsurance of all remaining charges during the year. Part B also charges a monthly premium which is based upon your income. The payment is deducted from your monthly check if you receive Social Security benefits. Otherwise, you need to send a monthly premium payment to Medicare. To help pay for the Part A and B deductible and coinsurance out of pocket, you should consider enrolling in a Medicare Supplement plan, often referred to as a “Med Sup” or “Medigap” plan. Some Med Sup plans will pay the entire deductible and coinsurance cost which gives 100% coverage for Medicare-approved services. To learn more, be sure to watch our Med Sup video. Part C combines Part A and Part B into one plan, also known as Medicare Advantage. Medicare Advantage plans contract with a network of doctors and hospitals to provide care for their plan members, like an HMO or PPO. And, like those plans, they may require you to choose a primary care physician to manage your care. One advantage to a Medicare Advantage plan is the convenience of having your health and drug benefits provided by one plan, instead of enrolling in separate plans with additional premiums. Such benefits include dental exams, cleanings, x-rays, routine vision care, hearing tests and hearing aids, wellness programs and fitness memberships. How do I enroll in a Medicare Advantage plan? You must be enrolled in Parts A & B and live in the plan’s service area to enroll in a Medicare Advantage plan. You must continue to pay your Part B premium. Some Medicare Advantage plans feature a $0, monthly premium, and some may charge a small monthly premium. Some plans may charge a deductible, but most plans operate on a co-pay basis. For example, you may have a $0 co-pay for a preventive care checkup, and you may have a $10 co-pay for a sickness office visit. After you reach your plan’s maximum out of pocket, your plan pays all your covered costs for the rest of the year. Why use a Medicare Advantage plan? Medicare Advantage plans focus on health and wellness. The care you receive is coordinated with network doctors to help you live a healthier lifestyle and keep you from getting sick. How do you know which plan is right for you? Make sure your preferred physicians and current prescriptions are included in the plan. Compare the coverage and cost available with original Medicare combined a Medigap policy vs. Medicare Advantage plans. Part D of Medicare provides prescription drug coverage. You can get this coverage with a stand-alone prescription drug plan or with a Medicare Advantage plan that includes prescription drug coverage. 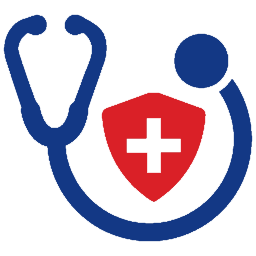 Both options are offered by private health insurance companies. The types of drugs most commonly prescribed are covered by Part D and determined by federal standards. Specific brand name drugs and generic drugs are named in the plan’s formulary. A formulary is a list of drugs covered by a plan. Each plan may choose the specific brand name and generic drugs to be offered on its formulary, but Medicare sets guidelines for the types of drugs to be covered. 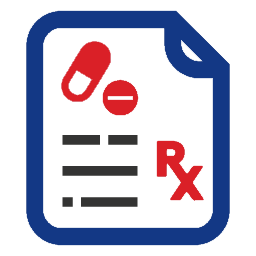 In addition, drug plans feature a tiered formulary based on cost. In general, drugs on lower tiers cost less and the drugs in the higher tiers cost more. Some drug plans may charge a deductible which may apply to all tiers or only to certain tiers. Making sure your drugs are covered by the formulary is very important. Choosing a plan without considering the formulary is by far the biggest mistake people make, which results in hundreds or even thousands of dollars being spent to purchase drugs not covered by the formulary. 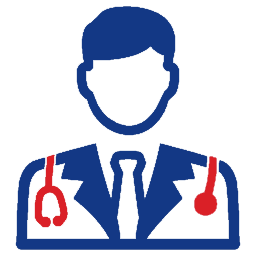 When you schedule an appointment to visit your doctor, be sure to take your formulary directory with you. Ask about generic or low-cost options if your drug is in a high tier or is too expensive. Most drug plans offer savings when you order a 3 month supply at once, not to mention the convenience mail order offers. Most drug plans offer a preferred pharmacy network to help reduce the cost to purchase your prescriptions. You may use just about any pharmacy, but using a preferred pharmacy may be a better choice. Medicare offers a program for people with limited incomes who need help paying for Part D premiums, deductibles and co-pays. What do you pay for Part D? What you pay depends on many things such as the premium. Some plans may charge a deductible. You will also pay co-pays which vary based on the plan’s formulary tiers. High-cost prescriptions may require you to pay up to a 33% coinsurance. Keep in mind that just because a plan may feature a low monthly premium, this plan may not be suitable for your prescription list. Don’t forget the formulary list. If you pick a formulary that does not cover your drug, you will pay the retail cost – this is the biggest mistake people make. To help you determine your lowest “True Out of Pocket” – a combination of your plan premium PLUS the cost to purchase your prescriptions - we use the Medicare website. Your hometown may offer 50 or more drug plan options, so how do you know which plan will offer the lowest true out of pocket? Let us do this for you and avoid making the wrong choice. When can I update my Plan D coverage? Prescription drug plans may change from year to year. Formularies may change, drug tiers may change, and the premiums may change. Be sure to get a “Drug Plan Checkup” each year. You may switch your drug plan each year between October 15th through December 7th. Keep in mind that Medicare has four parts: A, B, C and D. But did you know there are also Medicare “plans”. Knowing the difference between “parts” and “plans” is helpful when learning the basics of Medicare. A Medicare supplement plan, often referred to as either a “Med Sup” or “Medigap” plan, is designed to help pay for some of the out-of-pocket costs not paid by Original Medicare. There are 10 different plans, each labeled by a letter. These plans are standardized and offer the same benefits by plan letter. Keep in mind, not all plans may be available in your area. What benefits could be covered by a Medicare Supplement plan? Medicare Supplement plans can help pay for your Part A and B deductibles, co-pays and co-insurance. Some plans may cover foreign travel emergencies which are not covered by Parts A or B. Keep in mind, these plans vary in coverage. Therefore, shopping for a plan that meets your risk tolerance and budget is a big decision. For a list of items covered by a Medicare supplement plan, contact us for a complimentary publication titled “Choosing a Medigap Policy: A Guide to Health Insurance for People with Medicare”. What might not be covered by a Medicare supplement plan? Medicare does not cover long-term care. In fact, Medicare was designed to take care of acute care, or for care generally less than 90 days. Also, Medicare does not pay for routine dental exams, cleanings or x-rays. Medicare does not cover the cost of eye exams, or hearing exams, either. If these are concerns for you, don’t count on a Medicare Supplement plan to help pay for these expenses. What do you pay for a Medicare supplement? The level of coverage and the premium you pay varies by plan. As a general rule, the more comprehensive the coverage, the higher the premium. Premiums vary widely from one insurance company to another even if they offer the same benefits. One important thing to keep in mind is that premiums may go up each year, some quicker than others. Buying a plan based on the initial premium is important, but considering what the premium may be in 5 to 10 years is more important.